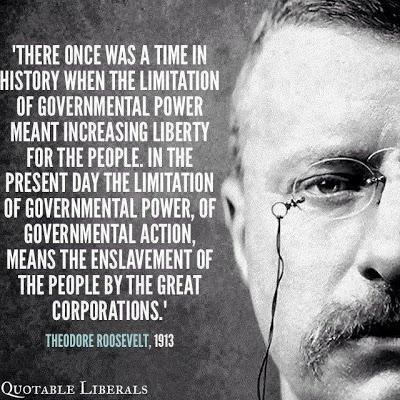 It seems that little has changed since Roosevelt's time -- at least in the conservative's desire to limit government so their corporate masters can rule without interference. They don't really want to limit government. Consider all the new regulations they are creating to suppress voting and to limit the rights of women, minorities and the LGBT community. The only smaller government they want is to keep government from stopping the abuses of corporate America.